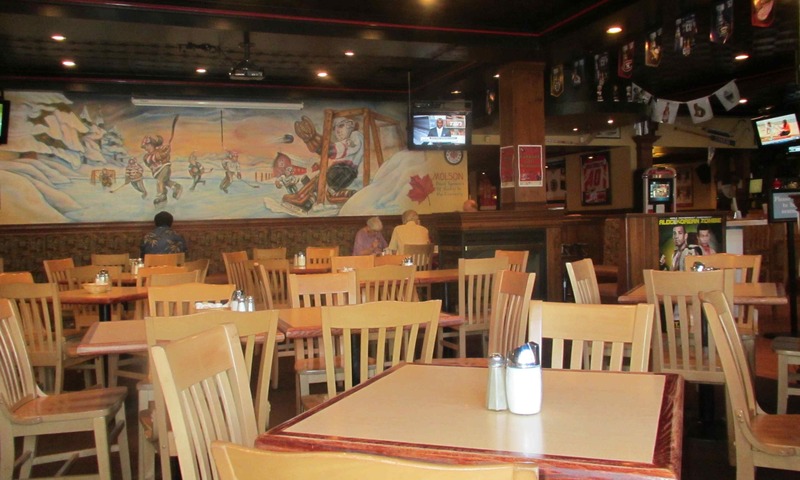 This restaurant is quite comfortable with lots of hockey memorabilia on the walls and multiple television screens tuned to sports channels, all with the sound mercifully turned off (at least during my morning visit). The place looks quite small on first entry but it is divided into separate seating areas and I gather it can hold around 200 people or so. Generally, it is quite clean except for the washrooms which were decidedly smelly and with a disturbingly nasty stickiness to the floor. The service was good throughout my meal and my coffee cup was not allowed to go empty at any time. Mt waitress was very pleasant but she had rather an irritating habit of approaching unseen from behind and then announcing her presence suddenly over my shoulder. This was very disconcerting and startled me unpleasantly a couple of times. 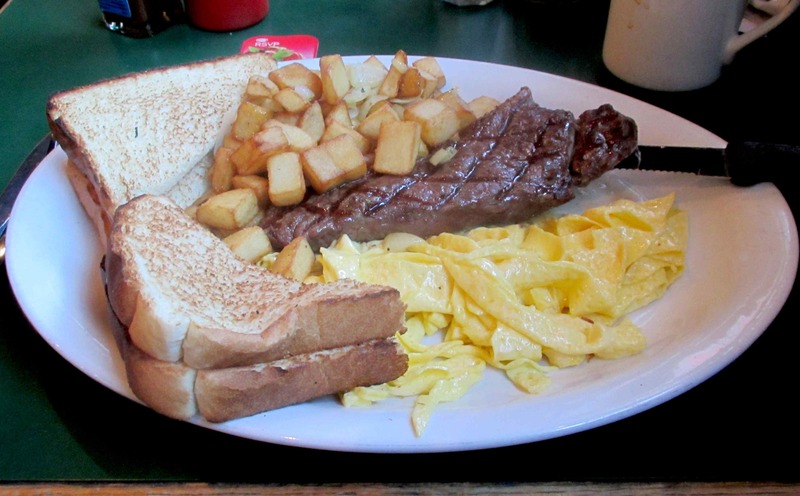 This item consisted of a 6oz Sirloin Steak with 2 eggs, home fries (or baked beans, if desired), plus toast. The eggs and toast were unremarkable but the home-fries, sautéed with onion, were very good not the overly crisp and mostly tasteless one often gets served with restaurant breakfasts. The steak was also surprisingly good and the kitchen managed to cook it medium-rare, which is not always easy with a small one of this size. It wasn’t the most tender cut to be sure but, at $13 for the meal I think I got my money’s worth. Rating: 4 out of 5. 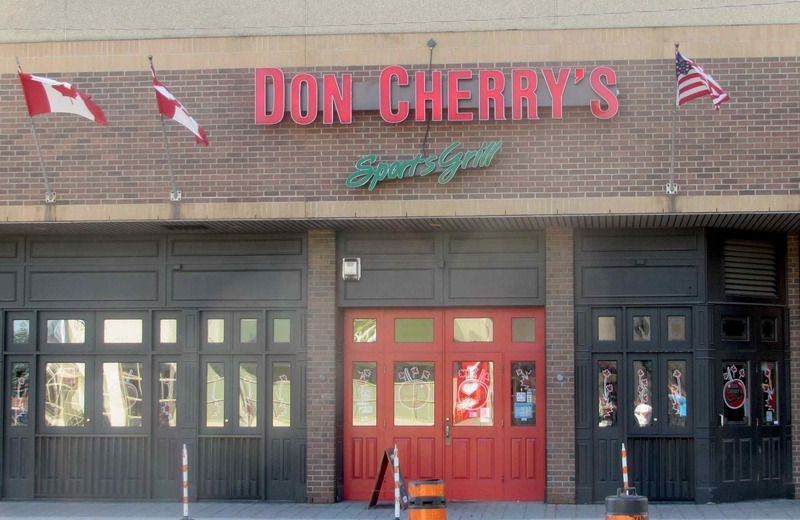 Don Cherry’s has a nice local bar type feel and I think that it would be a great place on a nasty winter’s evening with a good crowd inside. The service was decent and the food very hearty and filling at a reasonable price. A little bit of attention needs to be paid to the washrooms but otherwise everything was perfectly nice. Rating: 3 out of 5. It looks like this is not an exciting place. But I like your way of restaurant review which is very organized. I will use your “template” if you don’t mind, in my next review. Please stay tuned. Thank you so much. Restaurant reviews are my favorite type of post!